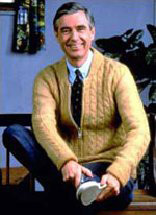 WHY DID MR. ROGERS WEAR A SWEATER? Here's a guy who was only a famous movie star who served his time, why the heck does he rate burial with these guys? 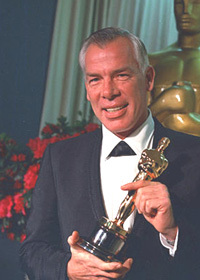 In a time when many Hollywood stars served their country in the armed forces often in rear echelon posts where they were carefully protected, only to be trotted out to perform for the cameras in war bond promotions, Lee Marvin was a genuine hero. He won the Navy Cross at Iwo Jima. There is only one higher Naval award... the Medal Of Honor! We both got the Cross the same day, but what he did for his Cross made mine look cheap in comparison. Bullets flying by, with mortar rounds landing everywhere and he stood there as the main target of gunfire so that he could get his men to safety. He did this on more than one occasion because his men's safety was more important than his own life. That Sergeant and I have been lifelong friends. "Where'd they get you Lee?" "Well Bob....if you make it home before me, tell Mom to sell the outhouse!" 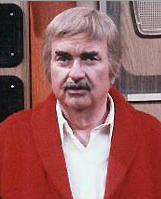 Johnny, I'm not lying, Sergeant Keeshan was the bravest man I ever knew. Mr. Rogers is another of those you would least suspect of being anything but what he now portrays to our youth. But Mr. Rogers was a U.S. Navy Seal,combat-proven in Vietnam with over twenty-five confirmed kills to his name. He wore a long-sleeved sweater on TV, to cover the many tattoos on his forearm and biceps. He was a master in small arms and hand-to-hand combat, able to disarm or kill in a heartbeat. After the war Mr. Rogers became an ordained Presbyterian minister and therefore a pacifist. He hid away the tattoos and his past life? and won our hearts with his quiet wit and charm..
they quietly go about their day-to-day lives, d oing what they do best. They earned our respect and the freedoms that we all enjoy. Take the time to thank anyone that has fought for our freedom. With encouragement they could be the next Captain Kangaroo or Mr. Rogers.